Round toe classic derby with twin stitched seam tab facings, hand finished in burnished grain mahogany calf leather, hand crafted in our Northamptonshire factory. Features a double weight Goodyear welted Dainite studded sole with storm welt for additional water resistance. Showing 2 of our total 7 reviews, with an average rating of 5 stars. 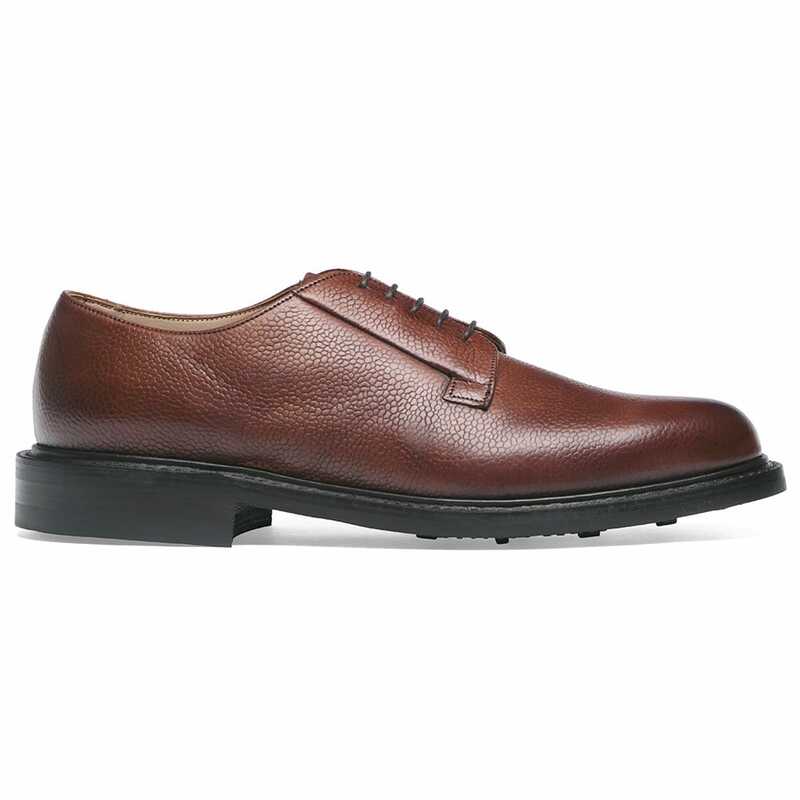 Read all 7 reviews for Cheaney Deal Derby in Mahogany Grain Leather. Cheaneys really seem to fit me. I have problems fitting with a lot of other makes but Cheaneys just fit me. They are well made and feel quality. Price reasonable comp to the competitors too. They will last me years and have slightly contemporary twist whilst still being classic. I will wear them for years! These are the most comfortable shoes i own, I have many Cheaney shoes but these are my goto pair. In all weathers these fantastic Derby shoes never let you down.